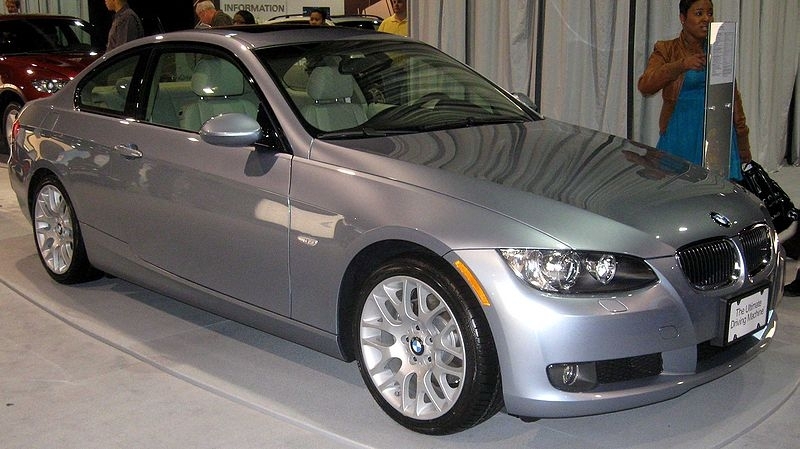 The BMW 335i is a compact luxury car manufactured by Germany-based BMW AG. It's part of the immensely popular 3 Series line of coupes, sedans and cabriolets. 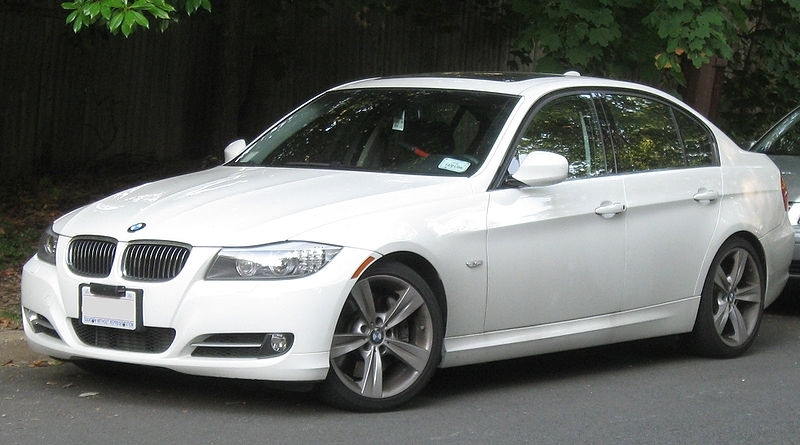 The BMW 535i is the mid-size line of executive cars and part of the 5 Series lineup. The first number in both cars' identification represents the series number, with the remaining two numbers identifying engine size. The letter "i" denotes fuel-injection. 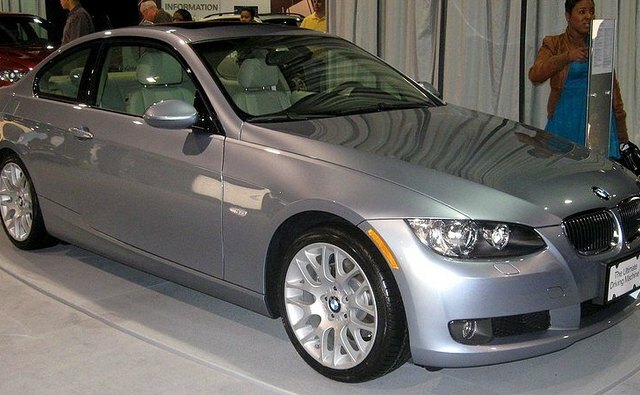 The front-wheel and all-wheel-drive 335i comes in a two-door coupe, convertible, sedan and four-door station wagon. The engine for the 335i is the 3-liter twin-turbo inline-six. It is placed on a 108.7-inch wheelbase. The coupe measures 181.1 inches long, the convertible is 180.6 inches long and the wagon 178.2 inches. Fuel capacity is 17 gallons. Curb weight of the coupe is 3,593 pounds. 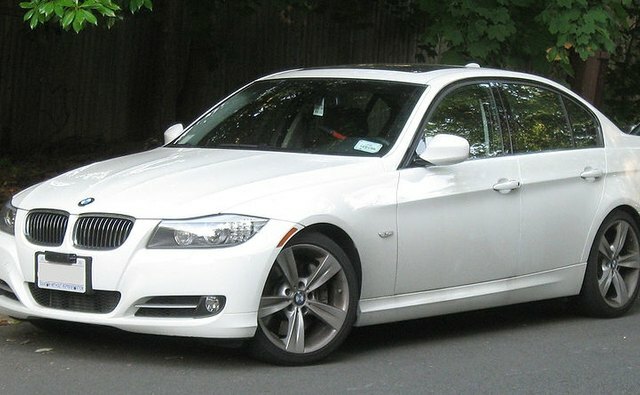 The 535i is offered as a sedan and station wagon. 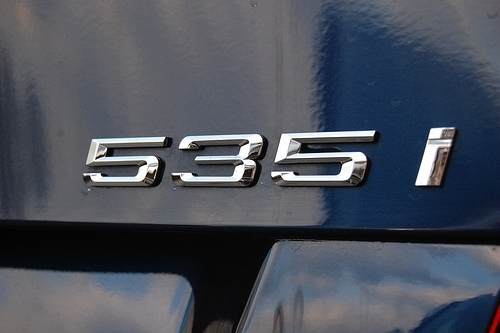 The 535i also is powered by the 3-liter inline-six. The sedan wheelbase measures 113.7 inches, and the wagon is 113.6 inches. The sedan's overall length is 191.1 inches, and the wagon is 191.2 inches. Fuel capacity is 18.5 gallons. Curb weight of the sedan is 3,660 pounds. 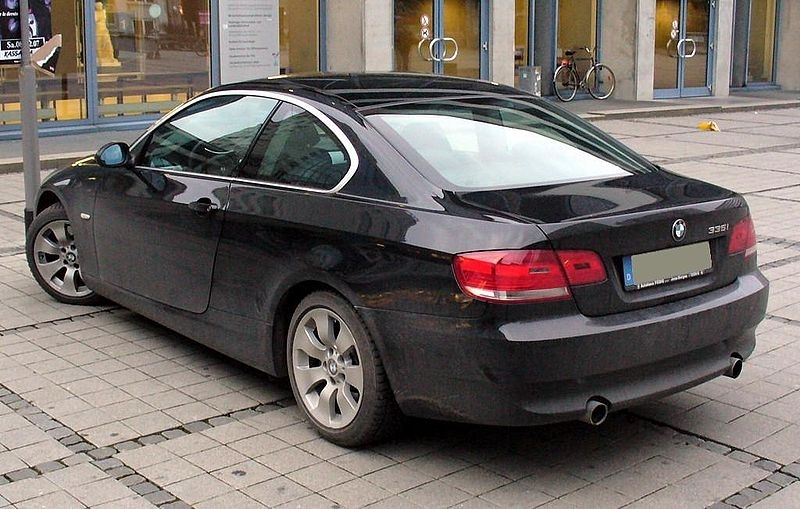 The 335i is conservatively styled with only minor updates to the front and rear in 2009. It differs little from the previous generation of 3 Series Bimmers. The Sport Package, however, offers 18-inch wheels and dark trim around the windows instead of chrome. Optional equipment includes park distance control, heavily bolstered seating, leather-wrapped steering wheel, satellite radio and an iPod/USB adapter. The cabin has a tight but comfortable feel. 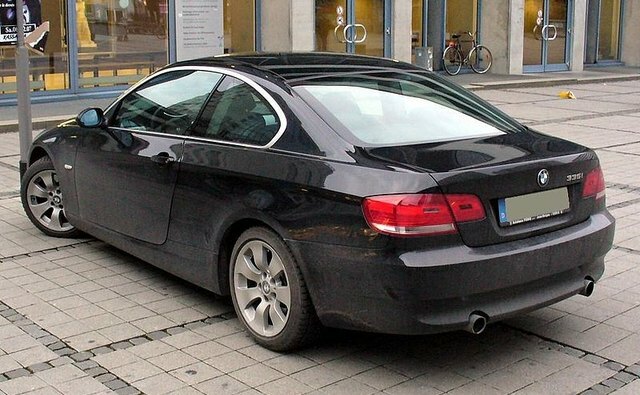 The 5 Series' body was styled by Marcello Gandini, who based his designs on the on the 1970 Bertone BMW Garmisch 2002ti. His styling is also reminiscent of the Fiat 132 and Alfa Romeo Alfetta. The cabin is functional with wood accents on the dashboard and a dash-mounted wide-screen LCD to display functions. It's equipped with the iDrive onboard computer system. The 335i's spunky powerplant is the direct-injected turbocharged 3-liter inline-six generating 300 horsepower and 300 pound-feet of torque. It can go 0 to 60 mph in 4.8 seconds and the quarter-mile in 13.4 seconds at 104.3 mph with a manual transmission. 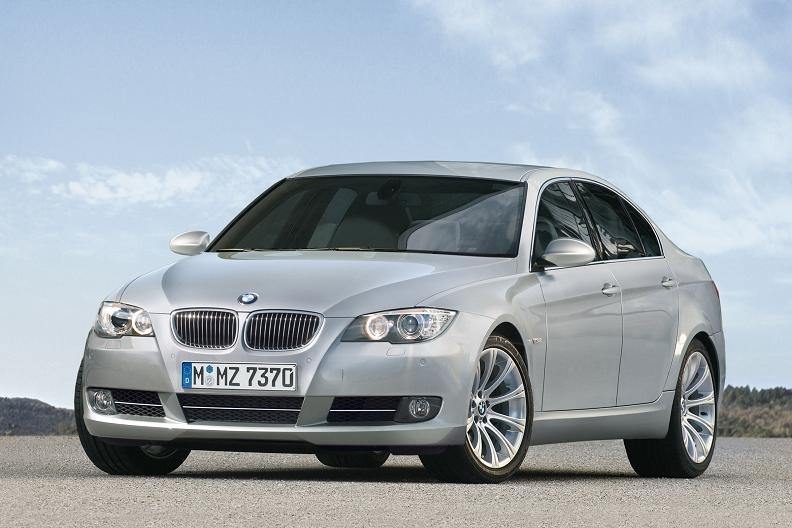 The 335i is equipped with six-speed manual transmission or the six-speed automatic. 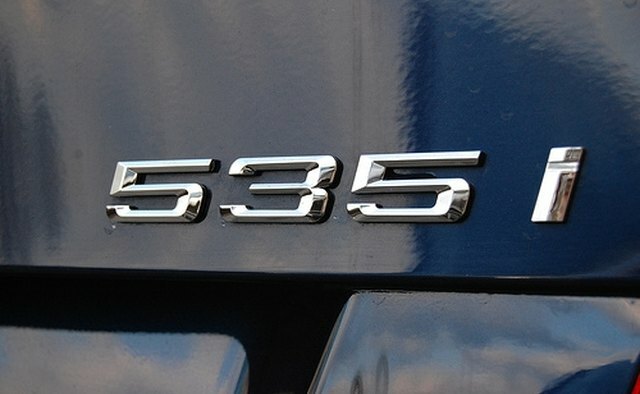 The 535i is equipped with the same 3-liter inline-six as the 335i. With the automatic transmission, it goes 0 to 60 mph in 5.7 seconds. The 335i and the 535i are virtually flawless in performance because both are powered essentially by the same engine. The 335i is simply a junior version of the 535i, but not where it counts. The 335i's acceleration with a manual transmission is quick and decisive. The automatic transmission in the 535i makes the 3-liter inline-six only slightly less enthralling. It doesn't take much, though, to get either up to 90 mph in a hurry. Cornering is superb, with little hint of understeer from either vehicle. 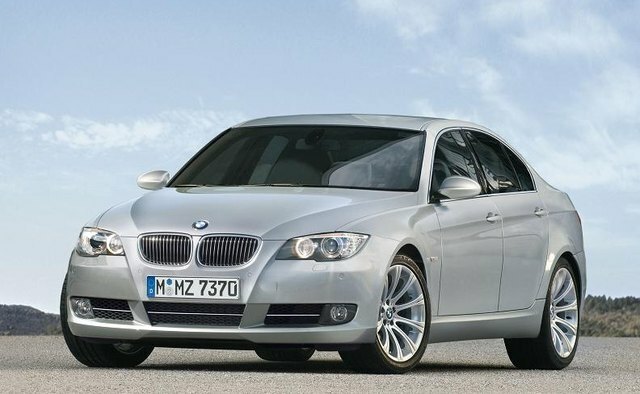 Expect to pay about $41,000 for a base new 335i and $46,000 for the unadorned 535i.